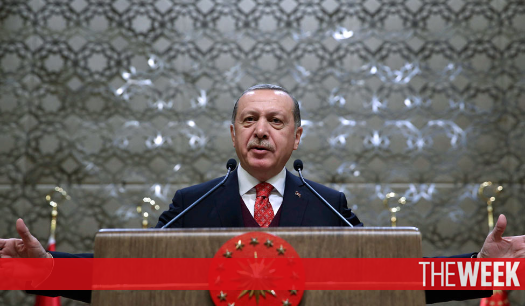 Turkish President Recep Tayyip Erdoğan’s policies of stifling dissent are a lesson to those still in functioning democracies about what they should seek to avoid, Kelsey LeBrun Keswani wrote in the Indian weekly magazine The Week. “If the four pillars of a democratic nation are equity, representation, freedom and justice, Turkey is dangerously close to losing its claim to democracy,” Keswani said. Turkey’s government led by President Recep Tayyip Erdoğan has increasingly clamped down on any notion of dissent, targeting journalists, academics, media establishments and businesses by the thousands. There were worse examples in the world, Keswani noted, but the shocking thing about Turkey’s situation was how it had resulted from a democratic system. “While Turkey hasn’t yet sunk to the level of Syria’s Assad, by murdering thousands of his own countrymen, Erdoğan is walking a tightrope between democracy and authoritarianism,” Keswani said. When the haze clears in a couple of years, we will find out if democracy wins and restores Turkey’s now-tarnished reputation as a geostrategic, secular power. Until then, we wait with fingers crossed, and look inwards at signs of our own countries reaching similar fates.